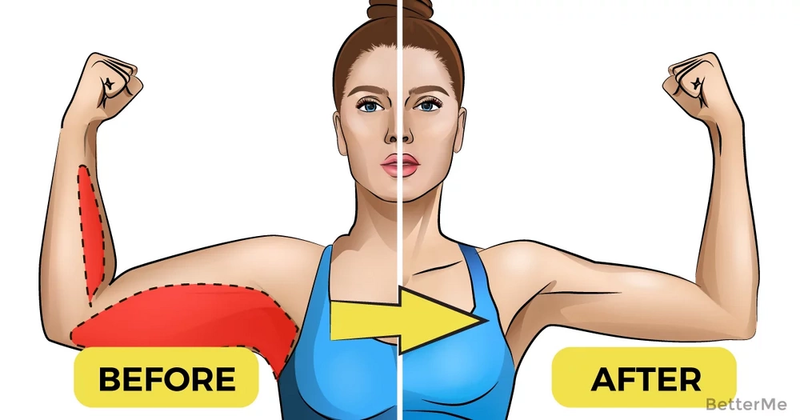 The arms are one of the most neglected muscle groups during a workout; it is often neglected because it is not a shoe off muscle, especially for women. This muscle group can be trained with either weight in the gym or with free body weight at home or in the office at your own free time. Do not have to use the services of a fitness coach when the lack of free time and financial constraints, it is possible to train at home. Exercises for arms without weights for women and girls presented different options and levels of difficulty. Such training routine work the muscles of the hands is well observed on the surface (triceps, biceps, brachialis), and it uses deep-lying muscles. The BetterMe Team wants you and those close to you to live a healthy, happy life! Your health is a valuable thing; look after your body and your mind so that you can live your life to the fullest – Remember you only get one! Please share this with your friends and family and let us know what you think in the comments below.